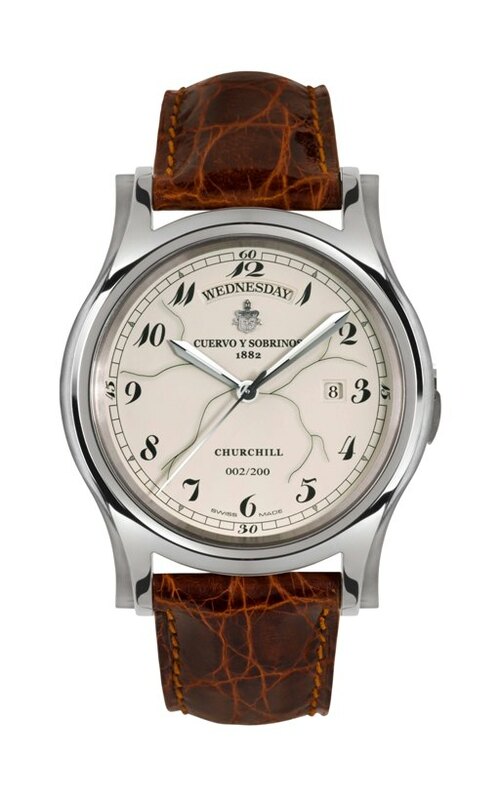 This unique model is a tribute to Winston Churchill, cigar “aficionado” and former client of the Cuervo y Sobrinos boutique in La Habana. It is produced in a limited edition of 200 pieces. Symbol of unique lifestyle and personality by late 1940’s the CyS boutique name had become one of the most important brand in Americas. The boutique became a vital destination for some of the most illustrious visitors to Havana during that era such as Einstein, Hemingway, Churchill, Gable, Eleonora Duse, Neruda and many others. A luxury brand of international repute, Cuervo y Sobrinos has been producing its own watch collection in Switzerland since 1882. Its contemporary timepieces remain true to the spirit of the original collections and designs created in the past. 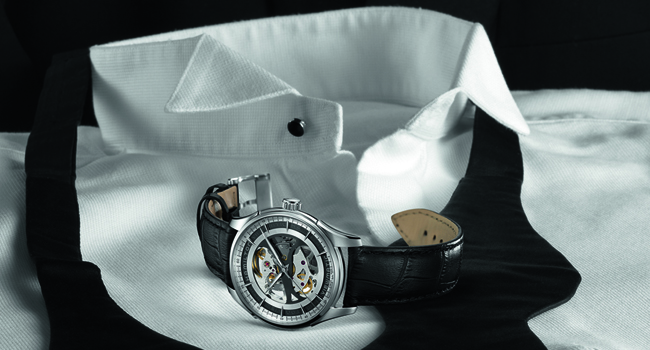 It associates pureness, avant-gardism and Art Déco with an innovative spirit, expertise and modern Swiss Watch making. The Churchill watch belongs to the Robusto’s family, rugged and sophisticated this is an extremely functional watch with an innovative modular case. This case is designed with an incomparable complexity, its construction is highly sophisticated, incorporating two lateral segments in Titanium, adjusting perfectly to the horns, with a brushed finishing. The exclusive and unreleased crown system is made with a “key” almost integrated in the case with a stronger protection compared to a classic crown. 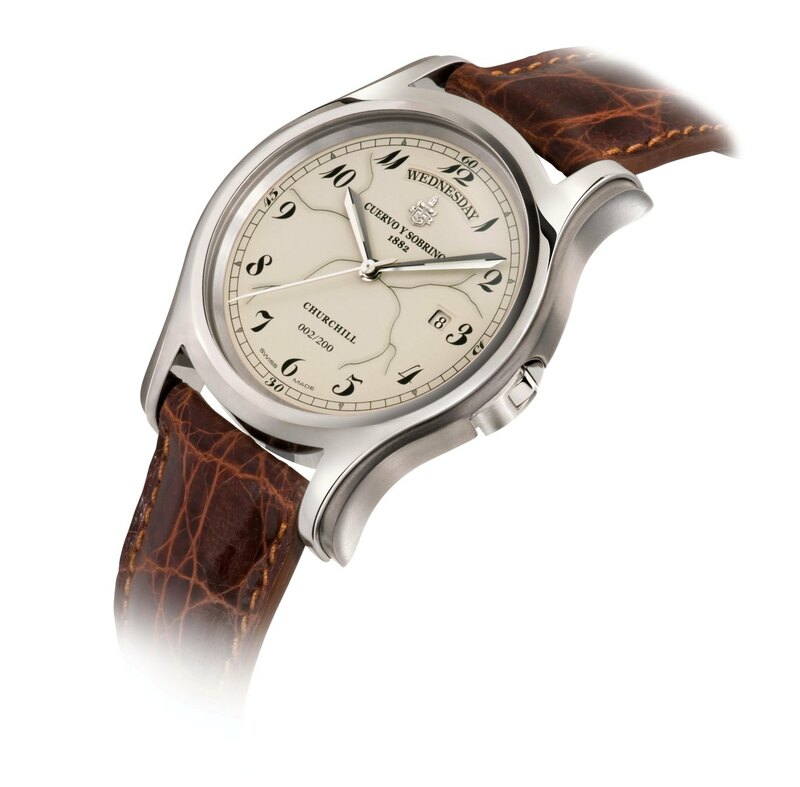 The ivory dial is decorated with “craquelé” effect to enhance the uniqueness of the brand associated with its Cuban origins. The double curved sapphire crystal of the back case gives to the watch a fascinating touch of vintage style with Winston Churchill’s profile engraved. The Churchill has been produced in a limited edition of only 200 pieces worldwide – all numbers are imprinted on the dial. 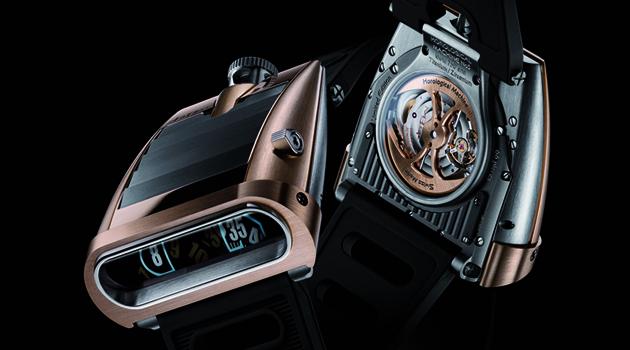 The automatic movement has a power reserve of 38 hours. The new model of Cuervo y Sobrinos reflects once again the essence and philosophy of this singularly unique Swiss brand : respect for Latin origin and tradition combined with state-of-the art watchmaking competence and know-how. Available from May 2012 at the Cuervo y Sobrinos Boutique in La Habana as well as in the best retail shops Worldwide. Crown : Unique crown system: the case is equipped with a “key” instead of a classic crown. The “key” is almost integrated in the case with a stronger protection compared to a classical crown.